Scene 1: “Dhoni… Dhoni” rang out the chants at SuperSport Park as Dane Paterson lined up at the top of his mark for the final over of the Indian innings. It was obligatory that a big shot was coming, never mind the match situation. Almost on cue, 6, 4, 4 boomed off Dhoni’s thick blade. 18 came off the over. The master finisher had scored 50 off 27 balls. Scene 2: There was some drizzle around, persistent mist-like. DLS par score was highlighted in red on the big scoreboard. South Africa were behind by a long way. JP Duminy had a chat with his partner before the start of the 11th over. Heinrich Klaasen smacked Yuzvendra Chahal and smacked him hard. Two sixes and 11 runs in all came off that over as the batsman went about turning the game on its head. On Wednesday, what was the common thread between Dhoni and Klaasen? Well, to start with, it was only the fifth time in history of T20Is that keeper-batsmen from both sides scored a half-century in the same game. This though isn’t about statistics. Instead, it is about merging their ability to hit big with the recognition of the right moment to do so. Somewhere in their awesome power-strokes, Dhoni and Klaasen found a common tangent. Playing at his home ground, this is the moment the burly South African had been waiting for. And like in the rain-truncated Pink ODI, he took a liking to Yuzvendra Chahal. Oddly enough, in a batting line-up that has failed to comprehend leg spin, Klaasen has twice changed the game with a fine mix of orthodox and unorthodox hitting against wrist spin. “I like to play against leg spin a lot. I used to face Shaun von Berg at the Titans a lot as well. We always made a joke that I need to finish the other leggie’s career so he can go up. 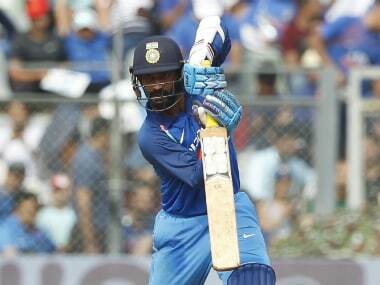 You know sometimes it works,” he said, laughing after the six-wicket win. It highlighted the confidence with which a youngster, nay a newbie (he is 26 years old), hits out. Was it all him though? 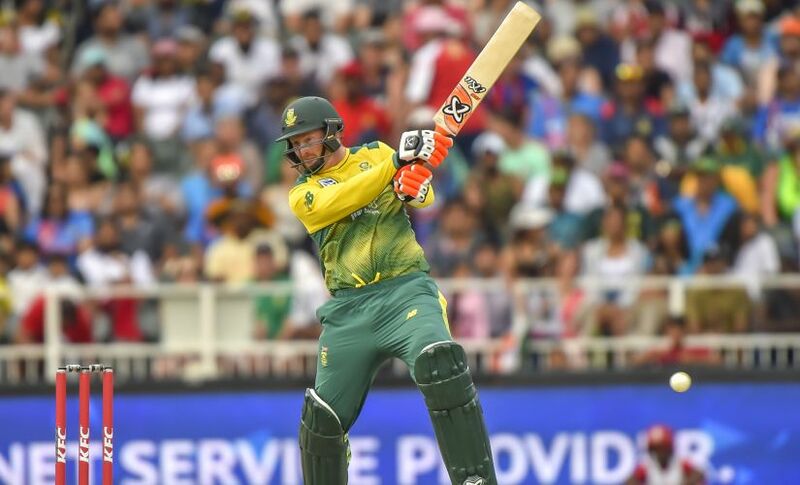 In the post-match presser, Klaasen outlined that it was JP Duminy spurring him all along because South Africa needed to go over the DLS par score. The skipper’s directive combined with Klaasen’s big-hitting prowess gives you a two-plus-two situation. In this case, it resulted in 23 runs coming off Chahal’s next over as Klaasen smacked a 22-ball half-century. In the immediate aftermath of his knock, comparisons rang out. Quinton de Kock is absent due to injury. But it is not any stretch to assume that his poor form could have seen him make way for Klaasen either way. The latter might play it down, as he humbly did, but there is no doubt that the Proteas’ selectors will have a headache on their hands when they meet next. The underlying point is that Klaasen is at that nascent stage in his career wherein the possibilities are endless, including the step-up to replace an already established played in the side. Does it provide more adventurism in the knowledge that you have nothing to lose? “I am not concerned about selection. Quinny is an important part of the side and is missed in the dressing room. I will go out and play the next game, and not worry even if it is my last (for South Africa),” Klaasen said. It makes for some wonderment. Does someone like Dhoni, who has played over a decade of international cricket, done and achieved everything, ever think about the next game being the last one? Selection wise, Dhoni is in a different boat altogether, and not just in comparison with Klaasen. There is a legendary status bestowed upon him, and even if India weren’t preparing for the 2019 World Cup, that alone would have guaranteed him a spot in the starting eleven. Even so, in this preparation process, India’s chief selector MSK Prasad has already stated that there are none who can match up to Dhoni. It further helps that the Indian team management doesn’t differentiate between ODIs and T20Is during this preparatory build-up. It is the single biggest reason keeping Rishabh Pant out of the Indian side currently. Again then it begs the question: Does Dhoni require this cushion of guaranteed selection? In a manner of saying he does, for there is no doubt that he is walking on the twilight road of his career. The fact that he doesn’t bat lower than No 5 (in ODIs or T20Is) is proof of his waning finishing prowess. 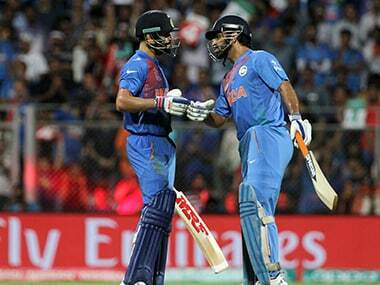 He needs time to get going, and this Centurion game was the perfect example of this. Sample this. When Suresh Raina fell, there were still 9.2 overs remaining in the game. Dhoni hit his first six on the seventh ball he faced. It took him another nine balls to hit another four. By then the Indian innings was already in the 17th over. The acceleration came late on, when the much-needed moment arrived. 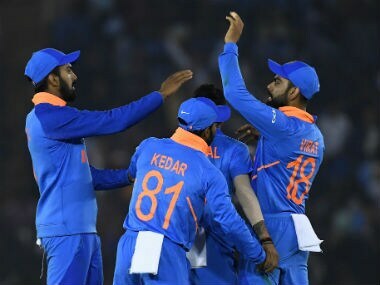 “Mahi just woke up,” said Manish Pandey, explaining how India were simply able to accelerate and score 62 runs in the last five overs. It was a knock in complete contrast to the one Dhoni played at Wanderers, where he guided the innings to a close with 16 off 11 balls. It wasn’t comparable to his latest effort, but the situation was different. Pandey himself was at fulcrum of the innings and Dhoni only attempted to bat around him in both matches. In that light, Dhoni’s half-century bought him some time from critics who often bay for his blood. Yet, that was never really a concern and thus his knock has a deeper significance, perhaps more in the longer scheme of things. If Klaasen showed that exuberance is name of the game today, then his counterpart showcased amply that experience is invaluable. Thankfully for India, as the World Cup starts appearing on the horizon, they have a pioneering presence in the dressing room in that respect.